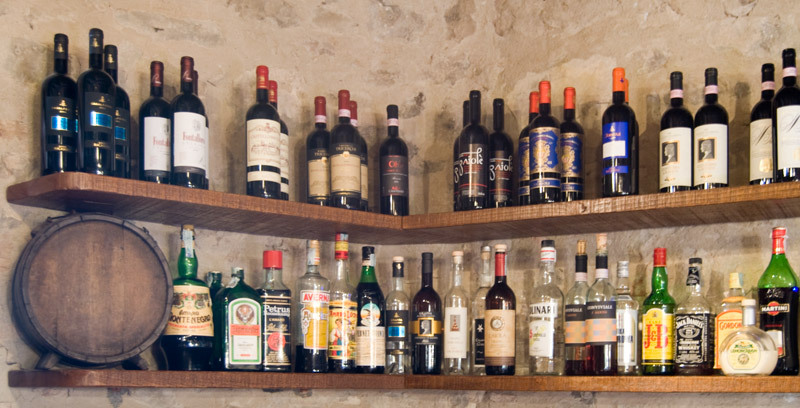 The charming stone building, a shop in ancient times, has maintained its warmth and its friendly atmosphere in the rustic style of the interior, in the cosy dining room and on the veranda in the surrounding town square which overlooks the beautiful valleys of Chianti. 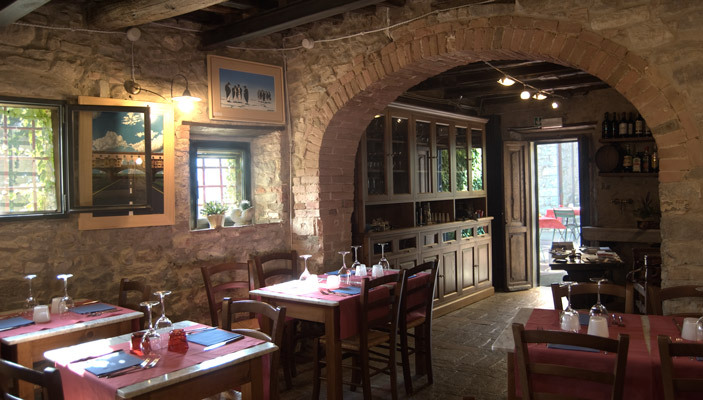 In the dining room there are marble-topped wooden tables which can seat a maximum of 25 people, surrounded by rough stone walls and a ceiling with wooden beams, warmed by an old fireplace trimmed in antique copper, which recreate the atmosphere of an old Tuscan inn. 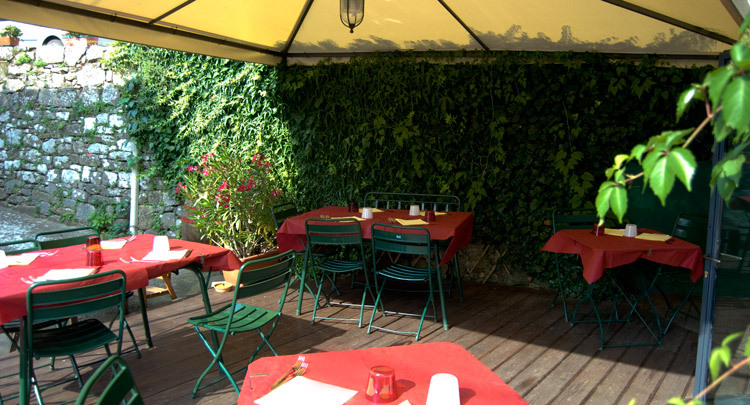 The veranda can seat a maximum of 30 people, in the small square at the foot of the tower, surrounded by the ancient houses, and in the summer there is always a cool breeze in the evenings.